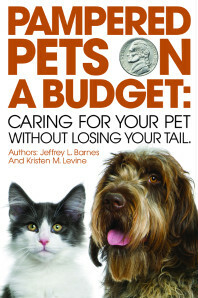 Florida Book News: Pampered Pets on a Budget: Caring for your pet without losing your tail! Pampered Pets on a Budget: Caring for your pet without losing your tail! New book helps pet owners to cut pet costs without compromising care. In today's economy, the costs for pet health care, food and other supplies have risen just as human health care and food costs. Fortunately, for pets, when times are tough. Americans tend to focus more on family - and since pets are family, they are often the last item a family is willing to cut from the budget. In this new book by Jeffrey L. Barnes and Kristen M. Levine uncover new ways to save on the products and services pet owners need to take great care of their pets, without compromising their pet's health or the pet owner's pocketbook. "If your pet budget is limited, saving on pet supplies and services is imperative," points out Levine, who brings over 20 years of "paws on" expertise as a popular columnist and pet lifestyle expert for national and local media includingThe Tampa Tribune, Petside.com, the nationally syndicated Daytime morning program, as well as contributor for USA Today and Fox News.com. "But taking care of your pet responsibly inpacts more than just our budgets. Pets are a great investment for saving money on our own health and wellness." Discover your pet's "Must-haves" versus "Nice to haves"
Formerly the Director of Marketing for Florida Veterinary Specialists and NYC Veterinary Specialists, and widely known for helping veterinarians and other businesses realize success no matter the size of their organization, Barnes is intent on giving readers a starting point for the important - and very affordable - things they need to know about pet ownership. 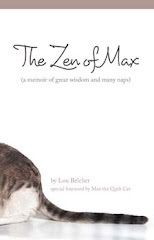 Barnes explains, "While no one book will answer all of a pet owner's questions, Pampered Pets on a Budget is intended to make pet ownership less costly and more of what it's supposed to e...FUN!"